The Bear Battalion, Missouri State University’s Army ROTC program, was founded in 1952. 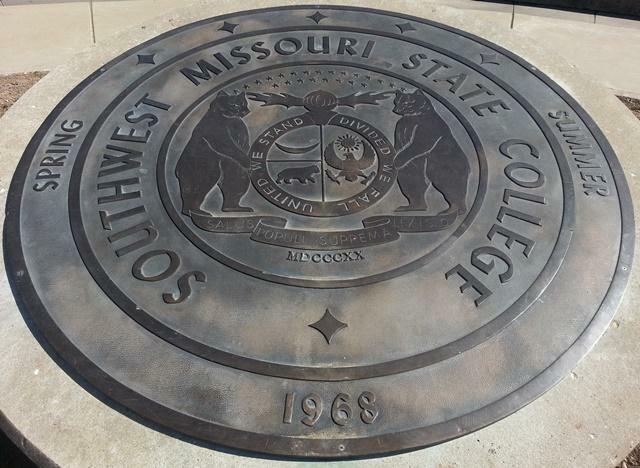 “But it’s grown over the years, so it’s not just composed of Missouri State University students,” said MSU president Clif Smart. Click on the "Play" button to hear MSU President Clif Smart talk about the university's relationship with the military. The ROTC battalion also includes students from Evangel University, Drury University, College of the Ozarks, Ozarks Technical Community College, and Southwest Baptist University. “So those students go through, and after they sign a contract with the Army after their sophomore year, then the goal is for them to graduate and become 2nd lieutenants—either in the regular Army, or in the National Guard,” Smart said. MSU has the 42nd largest out of 275 programs at universities in the United States, Smart said. “We’ve commissioned over 1,900 2nd lieutenants,” Smart said. Click here for a list of distinguished graduates from MSU's Army ROTC program who have gone on to outstanding careers. People hoping to go into other careers often get their start in the Army; MSU’s ROTC program has a web page dedicated to individuals hoping to go into the nursing profession. “One of the great things the Army has done is help people start off in a profession. Because they need doctors and physical therapists and engineers, et cetera,” Smart said. Smart was an ROTC scholarship winner, coming out of Fayetteville High School in 1979. “I used that scholarship to pay for my undergraduate schooling at Tulane University, that I would otherwise not have been able to afford,” he said. In return, he got a deferment for three years while he went to law school, then served in the JAG Corps for four years as part of his military service. “It started me off on a great career. I got to do courts-martial and, so, I got that trial work experience that then helped me get my first civilian job in Little Rock,” Smart said. Veterans in our area hoping to take advantage of their education GI Bill benefits can do so in many different ways: they can go to the Veterans Services page at Missouri State University, or contact the Admissions office. Many of these benefits apply to service members, former service members, and dependents of service members. “The state of Missouri has adopted a Returning Heroes Act. So, for combat veterans, you can go to school for $50 a credit hour instead of $210 a credit hour—and then use your benefits on top of that,” Smart said. And the university provides services for vets to transition into civilian life, he said. MSU also offers the Color Guard for the community when local organizations or events need the presentation of the flags. “There’s an application for that, and it’s online at the Army ROTC page within the Missouri State University website. We’ll see that Color Guard three times today at graduation, because they always provide that,” Smart said. Military graduates are also recognized at the commencement ceremonies, Smart said, and they are always greeted with overwhelming applause.